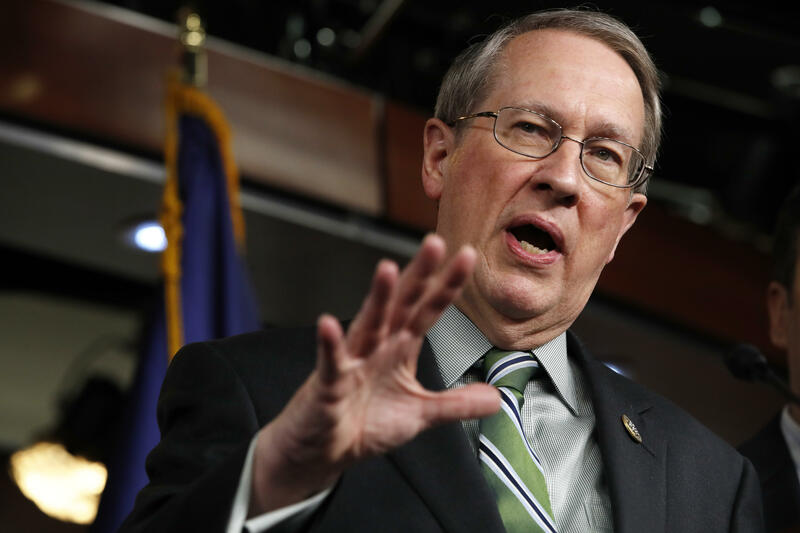 House Judiciary Committee Chairman Rep. Bob Goodlatte, R-Virginia, unveiled a new, sweeping immigration bill during a news conference Wednesday afternoon. The bill takes a tough stance on illegal immigration enforcement and addresses the future of Deferred Action for Childhood Arrivals (DACA) recipients. Of the 70 security points included in the Trump administration's immigration wish list sent to Congress in October, half -- 35 -- are not included in Goodlatte's bill. But the bill does contain much of what the president has said he wants to see in an immigration bill: a plan to fund the border wall and to end the chain migration system as well as the visa lottery program. Mr. Trump indicated that the legislation would be "a good starting point" for his administration to accomplish its immigration goals when Goodlatte mentioned the legislation during the bipartisan meeting of lawmakers held by at the White House Tuesday. "It's going to address DACA in a permanent way, not a temporary short-term thing," Goodlatte told Mr. Trump in the Tuesday meeting. "We're going to address the border enforcement and security and the wall. We're going to address — in Mr. McCaul's bill, we're going to address interior enforcement, but not everything that the administration had on its list. We're going to address chain migration. We're going to end the visa lottery program. We're going to address sanctuary cities and Kate's Law." "Kate's law" references 32-year-old Kate Steinle, who was shot and killed in San Francisco by an undocumented immigrant with seven felony convictions who had already been deported five times, and increases the maximum penalty for criminals who entered the country illegally. It appears that Goodlatte's bill has strong Republican support in the House, but, should it pass, its future in the Senate is less clear. While the bill addresses several hot button immigration issues, Goodlatte would not label it as "comprehensive" reform legislation. "This is not a comprehensive immigration reform bill -- the president and others yesterday at the White House said that there would be further phases," Goodlatte said in Wednesday's conference. "We anticipate that in our bill by noting that the president wants to move to a merit-based system, but we don't attempt to do that in this bill."